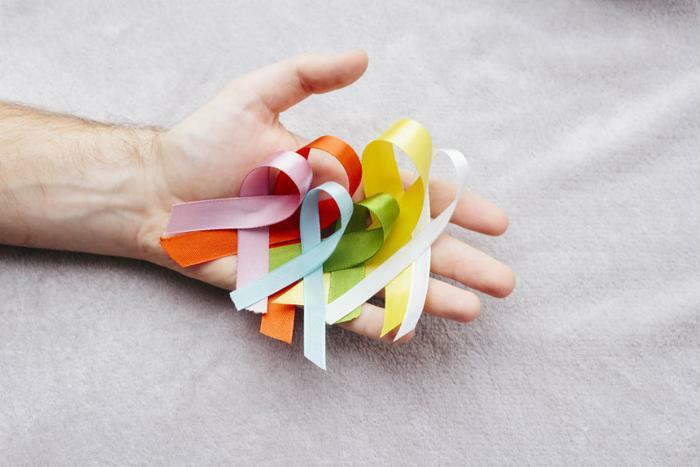 Earlier this week, the American Cancer Society released its cancer statistics for 2019, revealing that the overall number of deaths due to cancer have dropped 27 percent in the last 25 years. The researchers estimate that the steady decline over the past two and a half decades has resulted in over 2.6 million fewer cancer-related deaths. The study reports that the cancer death rate peaked in 1991, when approximately 215 people per 100,000 died due to cancer. However, since that year, that number has decreased by 1.5 percent each year, bringing the death rate to its new low. Breast, prostate, colorectal, and lung cancer are the four most commonly diagnosed cancers, and the researchers attribute fewer deaths from these four types of cancers to an overall lower cancer death rate. Between 1989 and 2016, breast cancer-related deaths were down 40 percent, while prostate cancer deaths dropped by over 50 percent from 1993 through 2016. Colorectal cancer also saw an over 50 percent decrease in deaths among both men and women from 1970 to 2016. The researchers credit these decreases to better early detection techniques, as well as more improved treatment options for patients. While lung cancer accounts for 25 percent of all cancer-related deaths, the numbers have also gone down since the early 1990s, which experts say is partly due to a decrease in tobacco use nationwide. Not only did women’s lung cancer deaths decrease by over 20 percent and men’s by nearly 50 percent during the time period, but new cases of lung cancer have also been going down -- particularly in recent years. Despite these positive results, the study also revealed that race and socioeconomic factors impact patients’ likelihood of dying due to a cancer diagnosis. For example, African Americans were 14 percent more likely to die because of cancer than whites. Additionally, the most preventable cancers, such as cervical, lung, and liver cancer, killed disproportionately more people in poverty-stricken areas than more affluent ones. To read the full report from the American Cancer Society, click here. Many studies have been conducted in recent years to help consumers reduce their risk of developing cancer. A recent study found that eating organic foods could lower the risk of developing cancer -- particularly for women in later life. Participants in the study who ate diets that were primarily organic -- and avoided produce that was sprayed by pesticides -- were found to be 25 percent less likely to be diagnosed with cancer. Similarly, a California study from late last year found that the state’s crackdown on tobacco control programs was found to be effective, as lung cancer deaths were down nearly 30 percent.